When you’re making plans for your next production or prototype project, you may be wondering where you’ll get the custom parts you need to manufacture your products, or generally what projects need CNC manufacturing? That’s where a company like M&M Automatic Products comes into the picture. Providing high-quality parts—such as screw machine components—on time is our speciality. The next time you’re planning out your next product, consider if it will need CNC manufacturing. When you need to keep costs down and still receive your custom screw machine parts on time—which could include nozzles, fasteners, spacers, connectors, seals, or precision shafts, contact M&M Automatic Products. We know that the custom parts you need can’t always be manufactured in a cost-effective way at your own site, so that’s why we specialize in making custom screws, bolts, and much more. We have produced custom parts for industries all over the board—we have served clients in the aerospace, automotive, restaurant, and medical industry, plus countless others. When you’re selecting a CNC manufacturer, hone in on the quality of parts used, how the prices compare to competitors, and how fast of turnaround is available. Whether you’re looking for custom machined parts (bushings, spacers, connectors), custom parts made of metal, brass, steel, or a custom machining and screw machine shop, know that M&M can produce the parts you need. Custom parts are often a necessity for prototype projects. You may not be sure exactly what parts are needed for your prototype—that’s when it’s time to get in touch with a CNC manufacturer. Regardless of the complexity or variety of materials required, the right CNC manufacturer will work with you to transform your prototype to production. CNC milling machines at M&M Automatic Products are capable of running multiple types of materials, including carbon alloys, aluminum, brass, stainless steel, and plastics. Even if you don’t have all the details of your prototype project finalized, a good CNC manufacturer will help you narrow down your best material options that fit within your budget. With M&M CNC manufacturing, you can purchase custom pieces for your prototype. Prototype projects typically require 100–1,000 pieces. Take advantage of working with a company that can not only work with you to develop your ideal prototype, but can work with you if you want to start larger-scale production of custom parts. Because we work with clients of all sizes, you can enjoy the seamless transition of taking your prototype to production because we will already understand your needs and project parameters. Whom to Entrust Your Production or Prototype Project? Whether you’re ready for a large scale production of custom parts, or looking to start out with a prototype project, be particular about the CNC manufacturing you partner with for your project. Here at M&M Automatic, we understand the need for your project to stay on cost. We offer the lowest and most competitive pricing possible for your custom parts, and are flexible to the turnaround time you need to complete everything on time. 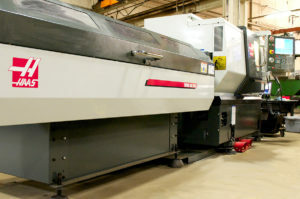 Learn more about how to select a CNC manufacturer. If you’re ready to work with a cost-efficient and knowledgeable CNC manufacturer, request a quote today for your project.